Mark, you're the bomb. 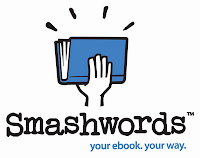 Thanks so much for Smashwords and especially for the new Affiliate Program. I hope it's up soon but I think your publisher program is already driving in new buyers. I've been having real sales issues with Mobipocket. Interesting that it occurred at the first of April. At my prior rate of sales, I'd have earned out royalty in April. Mobi doesn't pay until you've earned 150 Euros and I was a new author starting in February. From a lot of sales, my numbers crashed. In all of April, 1 sale on Mobi, and that's across several titles. A slow decline, I'd get. Up and down like the economy, I'd get. But a sudden crash? That's strange. Then I heard about the affiliate program here. For now, I've deactivated all my books on Mobi. Can't wait to hear details and really can't wait until you get the program going. UNLIKE MOBI, you actually pay the royalties authors earn. What a concept!! You're a peach, a plum, the top banana. Heck, you're the whole fruit basket.